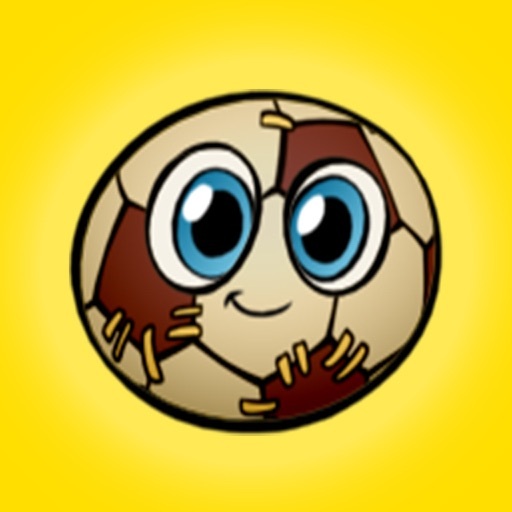 Hey there, are you a soccer fan? 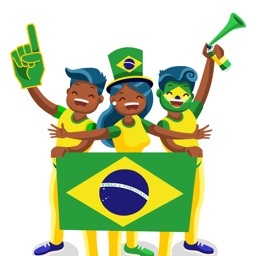 Are you and your friends crazy about football? 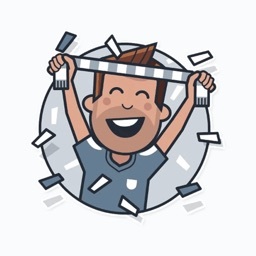 So how about adding some cute animated football emoji in your iMessage or WhatsApp conversations? 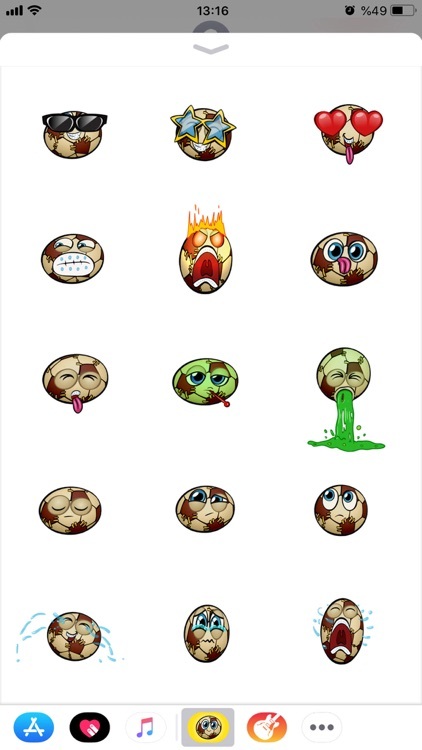 Imagine a soccer ball that’s able to express its feelings. Strange idea? 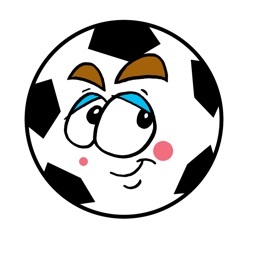 Well, we have something awesome for you, let us introduce you to the football Luca! This sticker pack includes Luca with more than 40 different mood expressions which are all made to embellish your chats in an entertaining way. 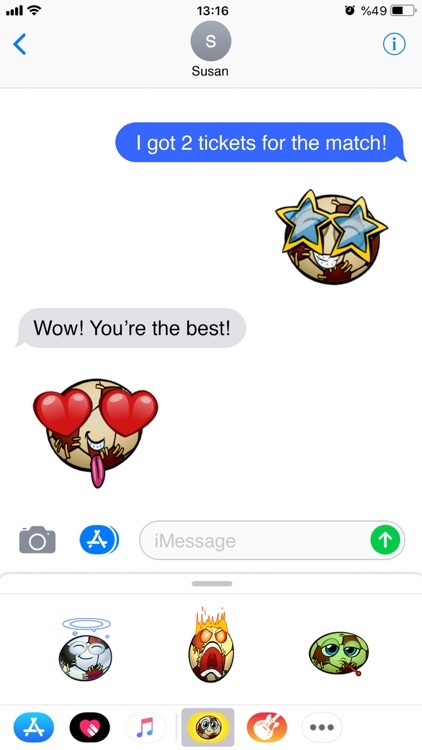 Replace your words with meaningful messaging stickers. 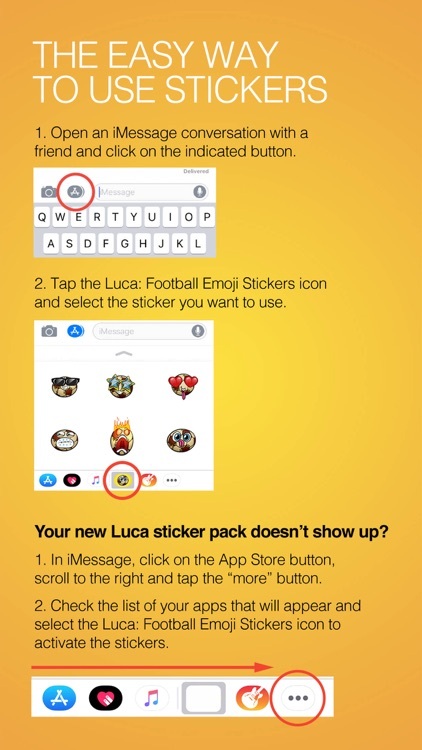 You want to make sure that all the emojis you need to express yourself are included in the package? Don’t worry, we got you covered. Luca may look like a normal football but, in his life, he already experienced a wide range of emotions like all of us. Did your friends make you laugh out loud? Luca is cracking up together with you! Or did they make you furious? Then watch Luca fly into a rage. Did you fall in love? Luca knows this feeling… Oh, you are feeling so cool today? The football already put his sunglasses on. Add some movement to your messages, peel and stick the stickers on or next to the messages or photos that you’re sending. There’s something in this sticker pack for everyone, get ready to animate your story in a new way!